Only very few buildings in Bushwick reveal so much potential on the first sight like the triangle-shaped building (a former garage) at 970 Flushing Ave (corner Forrest St.). 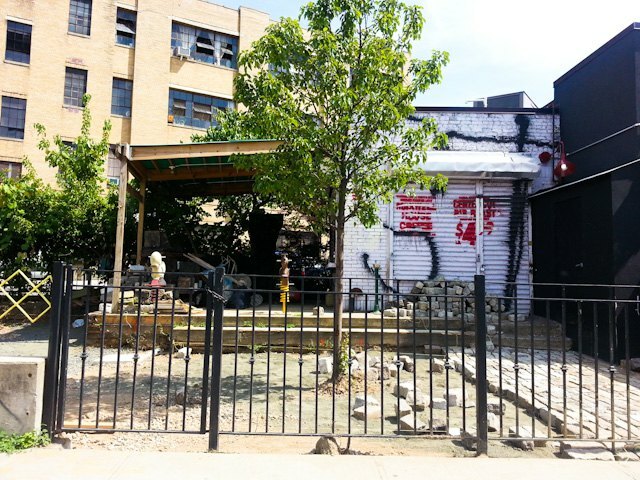 Perfect spot for restaurant, bar, coffee shop, a community place with a lovely outdoor space marrying together the Industrial Park of East Williamsburg with the residential part of Bushwick. But strangely enough, this potential hasn't been put to use in years. 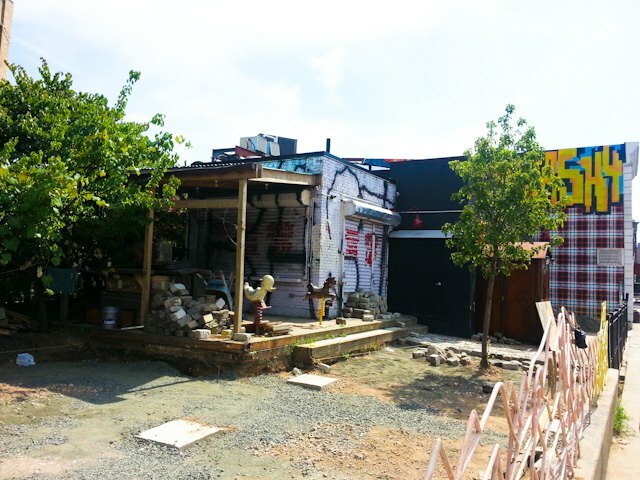 In 2009, 970 Flushing briefly opened as a promising coffee shop and performance space called Flushing Farms. It closed however just as quickly, and the building has been waiting for its return to fame until...2014. Today, we're excited to announce that the owners of Bushwick's popular eatery 983 Bushwick's Living Room (former Life Cafe) have taken over the space and are working very hard to open it to the public before the fall. "We don't have a cohesive concept yet, but I can tell you it will be big and awesome," told us Darin Rubell who owns 983 with Mark Trzupek and the chef David Rotter. "We began renovating one month ago," he continued. "You can expect amazing drinks and small bites," he added. He also told us that the liquor license is progress, and we hope that this progress won't be slowed down by a proposed liquor licenses moratorium as proposed by Community Board 4. Because seriously this place waited long enough to open. The owners have still yet to decide on the name of the restaurant. Our sources suggested that the restaurant/bar will be rustic; there will be canopies and nice landscaping. The sources also said that the current owners of the building, Yosi Oh Realty LLC, were very close to opening a bar there themselves this year but for an unknown reason they withdrew the plans, and sold the business to the owners of 983. 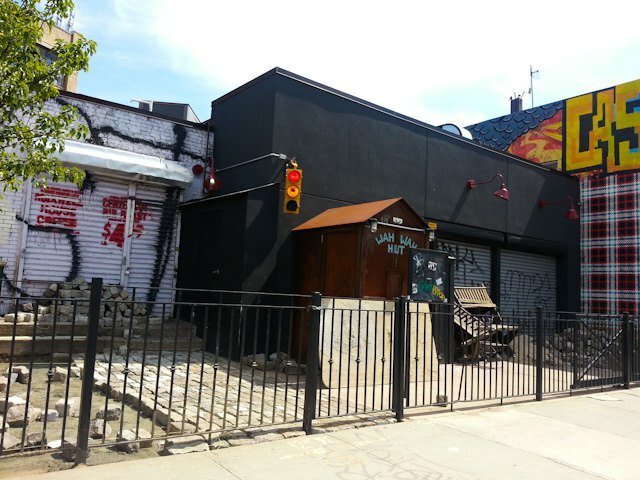 The owners of 983 Bushwick's Living Room are no newbies to the New York restaurant scene. Darin Rubell also co-owns Boulton & Watt at the Lower East Side with the chef David Rotter; and Ella in Alphabet City. Mark Trzupek was a manager of Bushwick's Life Cafe for several years.